It’s our privilege to announce our 2019 Tableau Zen Masters. We’ve selected 30 incredible community leaders who represent the tenets of the Zen program: teacher, master, and collaborator. When we come together as a community, we’re able to showcase the best of what we can be, and the Tableau Zen Master Program illustrates this at the highest level. In selecting Tableau Zen Masters, we focus a lot on fostering technical mastery—but we also look for leaders who have shown dedication to the greater community good. We’re also delighted for our returning Zen Masters. Join us in welcoming them back for another one-year term! 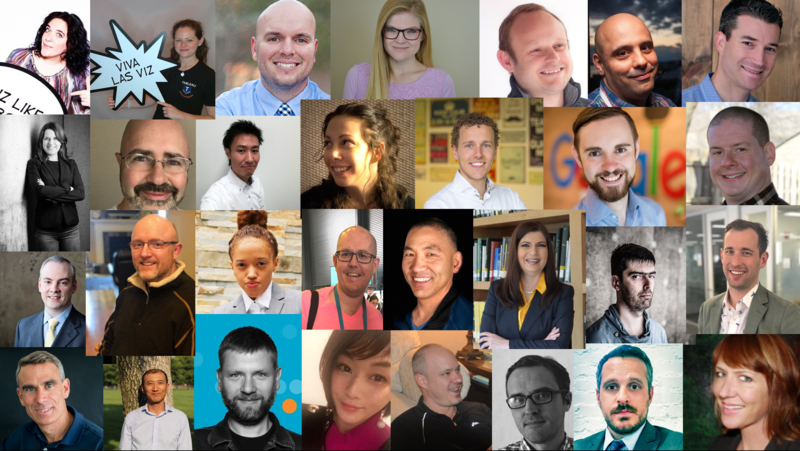 These individuals demonstrate innovative and effective new ways to use Tableau, support the Tableau mission to help people see and understand data, and help others become better Tableau users. Tableau Zen Masters also are expected to lead by example by upholding the Tableau Community Code of Conduct. Learn more about the Zen selection criteria by checking out “Teacher, Master and Collaborator” on the official Zen Masters page. Following the creation of the Tableau Zen Master Hall of Fame last year, we’re honored to share Steve Wexler is a new inductee this year. He joins Jonathan Drummey, Andy Kriebel, and Craig Bloodworth. We thank Steve for his dedication to the Tableau Community. He will hold the title of Tableau Zen Master in perpetuity and be honored in the Tableau headquarters in Seattle, as well as on the official Zen Masters page. Inductees serve at least five terms as a Zen Master. A unanimous vote by the selection committee. To learn more about the Tableau Zen Master program, check out the official Zen Masters page. Updated photos and bios of the new Zen Masters will be posted soon.